In our last article we looked at the different options that we may have available to recharge our new electric car. We investigated where and how and how much aids were available to help us with the cost of the installation. 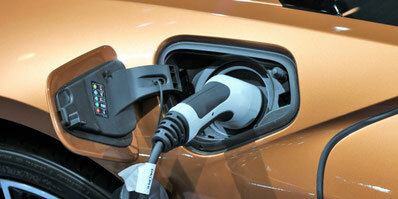 This week we will push on onto other question that may be of interest when installing the recharging points. 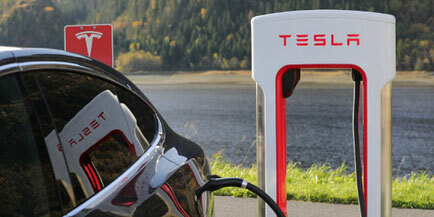 How much does an electric car charge point cost? Well, it depends. If you are going to buy it, the price can range between approximately 700 euros to about 1,500 euros. It hinges on several factors. • The type of wall power base, or wall-box that you choose. It can be just a normal brand of electrical power base and that is it, or a design of your car manufacturer. You can have one protected by key or by RFID card (so that nobody uses the base but you). It can include one or several recharge sockets. It can include a recharging hose. It may also include a timer, or a consumption meter, etc. • The length of the wiring that is necessary to reach the recharging point from the main fuse box. The more meters, the more expensive. • Amount of workmanship required from the electrician. If the installation is more complex (for example if it has to get to a basement from the ground floor), more hours of work required by the electrician the more expensive will result. In general, you will not be far out if you calculate that you will have to spend up to 1,500 euros to have your own recharging point in your garage. Do not forget that the installation must comply at all times with the mandatory technical regulations that affect it: In Spain is the Low Voltage Electro-Technical Regulations, and in particular the Complementary Technical Instruction number 52. When you install the wall-box remembers to obtain from the electrician the bulletin, or certificate of installation according to standard. Not all electricians may be apt for the job. As in so many things, it is always more advisable to go to one that has some experience in these businesses. You may deal with it directly yourself and hire the installer that most convinces you. You should know that there are some companies (well, few really) that have specialized in the sale and installation of charging points for electric vehicles. If you get in touch with them they will know exactly what to do. Apart from companies specializing in the sale and installation of charging points for electric vehicles, you can also contact a charging manager, who can not only sell and install the recharging point, but also electricity, instead of your normal electric company. Keep in mind that some car dealerships can advise you, and either manage it themselves, or refer you to a trusted installer and experience. I do strongly recommend this later approach as it could save you from a lot of unnecessary problem because this is a relatively new business. You could also ask the company that sells you the electricity. What to do if you do not own your parking space? All the above information on charging point for an electric car is fine if you own a garage or parking lot, but, what if you do not own one? Well, in this case the task becomes a bit more difficult, but not impossible. Unfortunately, if you park on the street, forget to install a recharging point for your electric car, obviously. You will have to see if any of the other recharge options that we discussed on my first article can be of help (if not, I would suggest you discard having an electric car for now). Bare yourself all the cost, this option is a bit unwise, unless you have the certainty that you will be letting that parking lot for many years. That the owner pays the full cost as one more paraphernalia of the parking lots. if you leave the parking space, there will be the recharging point, the wiring and everything else for the owner of the car park, but it will be useful for the next person who wants to rent it. As a "special" place, the owner could advertise that extra feature, and even charge a little more in the monthly fee (similar to rent an apartment with a lift or air conditioning) the price would be a little higher. If the owner is not up for the task, you can try to negotiate a half-price option: the owner pays for the wiring installation, and you for the wall-box. The day you leave that parking space you disconnect the wall-box, unscrew it and take it wherever you go, all the wiring would form part of the car park.